The V&A and Thames & Hudson have produced a facsimile of William Morris’s utopian novel News from Nowhere in a nice edition at a reasonable price. 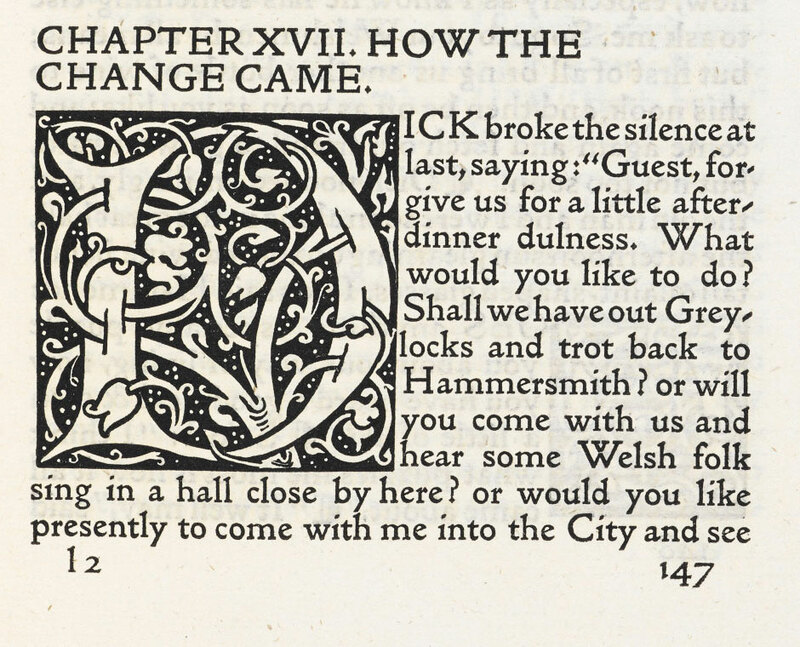 It was written by Morris and printed by him at the Kelmscott Press in 1890 in Golden Type, which he designed himself. It’s one of the great socialist novels and sets out Morris’s vision of a world without private property, big industry, poverty, crime or marriage. He had been a political activist in the 1880s, during which time he became less interested in design, but by 1890 he was worn out by the petty squabbles in his Socialist League and by the fanatics who were only interested in him for his money. 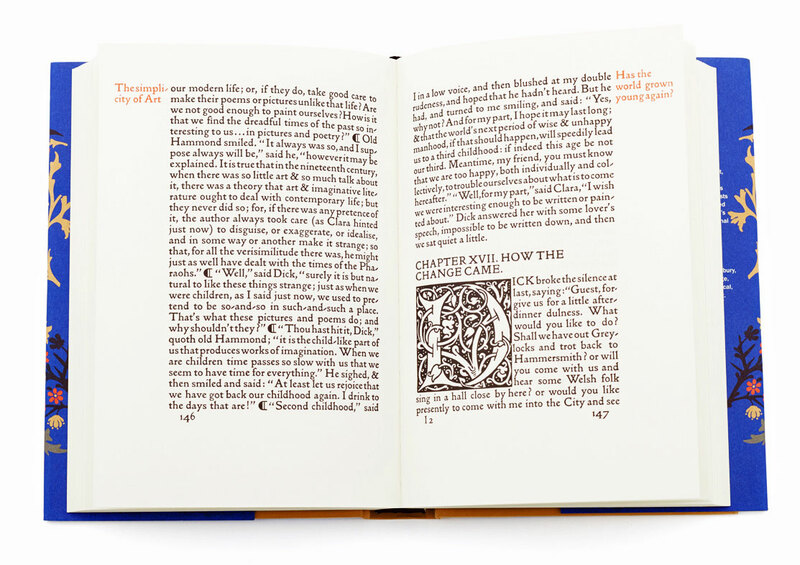 The Kelmscott Press was his last venture, into which he poured most of his energy. News from Nowhere has a charming quasi-medieval look. The British Library scan of the original edition shows the typeface very clearly (above). Although pretty, it is not very legible. It’s too black and there isn’t enough contrast between thick and thin strokes. 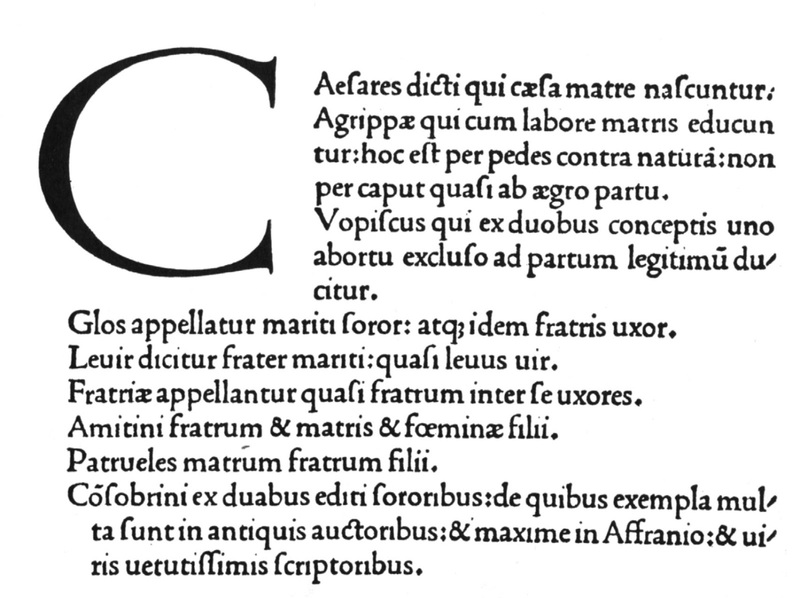 John Lewis and John Brinkley (Graphic Design, 1954) say that, in designing it, Morris took Nicholas Jensen’s 15th century Venetian typeface (below), gothicized it and trebled its weight.